This is my second attempt! The last one got all glitched to hell so I had to start over. 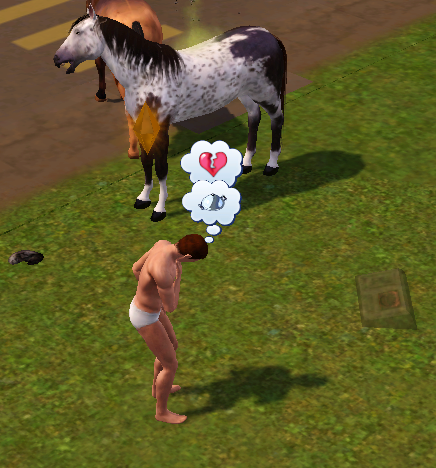 When Jason Taylor heard about the tragic earthquake that killed his favorite cousin, Katherine Taylor, along with her roommate, new husband and all their horses he was devastated. He had admired her decision to take on horse breeding as a career despite her parents' wishes. He had kept meaning to go visit but hadn't gotten around to it. Now he regretted it. 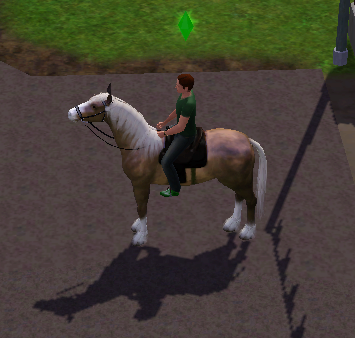 Although he hadn't been riding since Boy Scout camp he decided to try to carry on Katherine'e dream of breeding 50 foals. 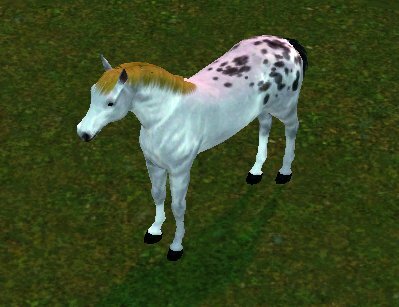 Jason moved to Appaloosa Plains and was able to track down a descendant of Katherine's foundation stallion, Dancer. 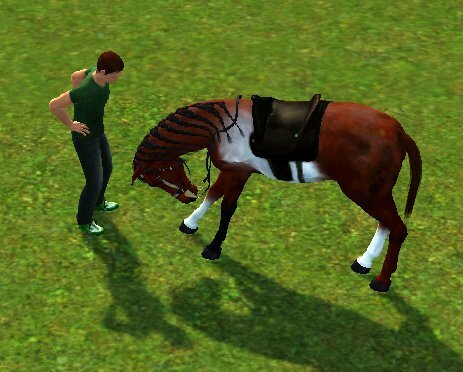 Jason convinced Salsa Dancer's owner to sell the beautiful stallion to him after sharing the story of his cousin's tragic end. They both surveyed the new house and small lot with a little skepticism. Jason decided to start riding right away but was a little nervous. Boy Scout camp had been a long time ago. 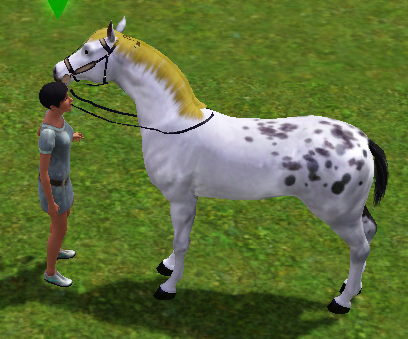 Salsa Dancer was a great stallion and stuck to a walk the whole time until Jason felt more comfortable. 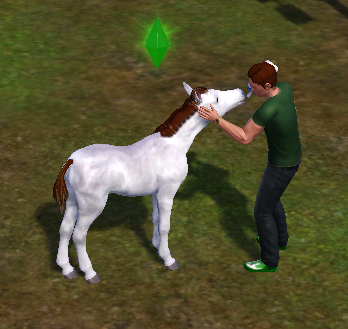 That evening Jason adopted a little filly from the shelter named Manzanita. 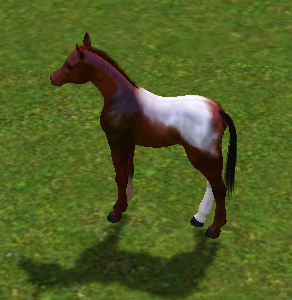 She had beautiful markings and he hoped that once she had grown up she and Salsa Dancer might have a nice foal. 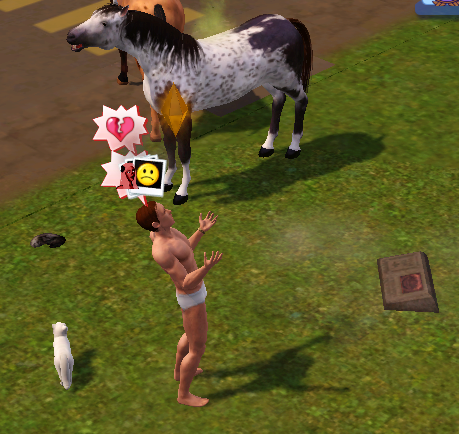 The next morning he was so excited about having a foal that he ran outside still in his underwear to feed her. 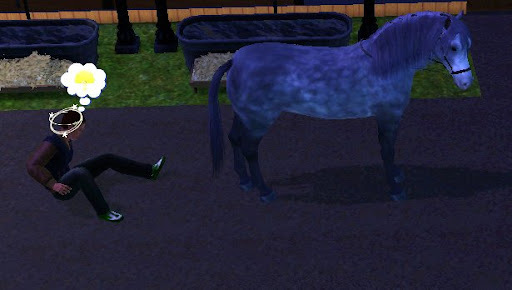 Since Manzanita wouldn't be able to have any foals for a while Jason adopted a mare from the shelter who he named Storm. Salsa Dancer wasted no time getting to know her. He'd seen his father, Dancer, romancing mares so it wasn't long before he and Storm had gotten very friendly and a new foal was on the way. 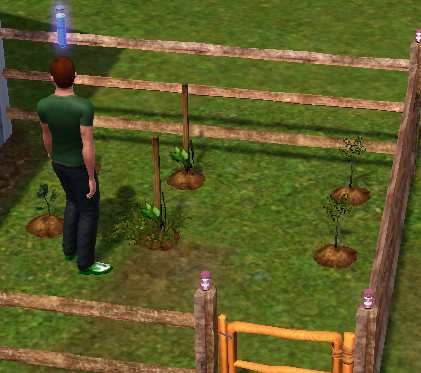 Meanwhile Jason started a little garden in the hopes that he could sell the vegetables and earn a little extra money. Manzanita aged up in what seemed like no time at all. That night Jason was thrilled to meet a unicorn. 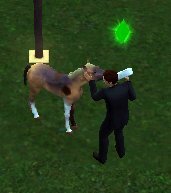 It was his lifetime dream to adopt a unicorn and he hoped to make it reality some day. 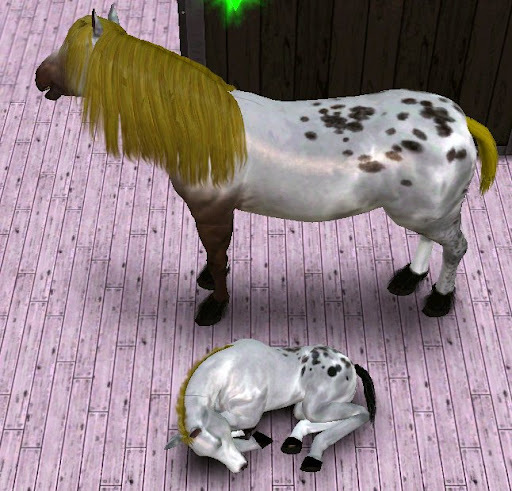 The next day Storm gave birth to an adorable little colt that Jason named Piper. 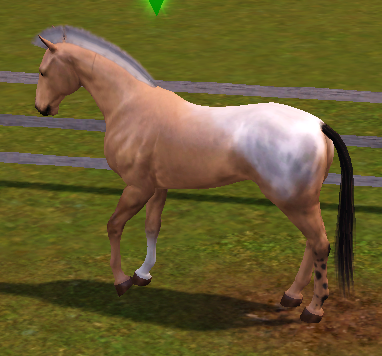 He had his father's color, his mother's dapples, and one random gray leg. 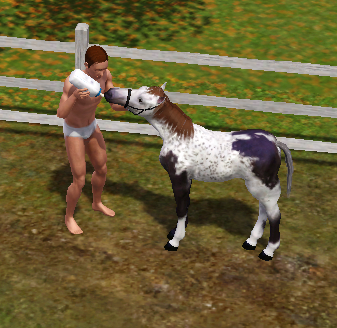 Jason forgot all modesty again in the rush to feed the new foal. Salsa Dancer was such a proud papa! 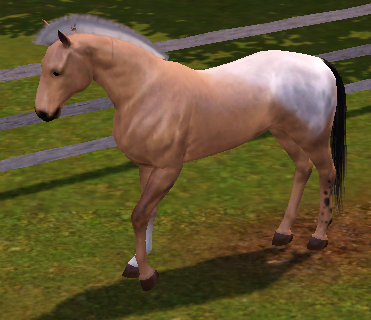 Salsa Dancer wanted to be a daddy again so he wasted no time with Manzanita. One night Jason awoke to hear some strange noises and ran outside in his underwear to find a robber stealing one of his training jumps. He was useless at defending his possessions since he only stood there and shouted "It's a robber!" He called 911 after the thief had left but of course it was too late. He felt a little foolish for doing nothing and vowed to do better if it ever happened again. The next day Manzanita gave birth to a beautiful little colt that Jason named Shan. Piper and Shan became good friends and talked about their likes and dislikes. When it came time to sell Storm she apparently didn't want to go and threw Jason. 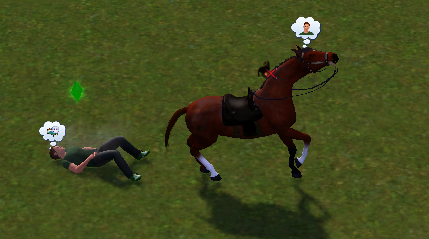 He tried bribing her with an apple but she threw him again when they reached the Equestrian Center. Then she decided she didn't like Jason and wouldn't let him lead her let alone ride her. He gave up and went back home. He found Storm already there nuzzling her son. The next day he spent the whole time trying to get her to like him again. 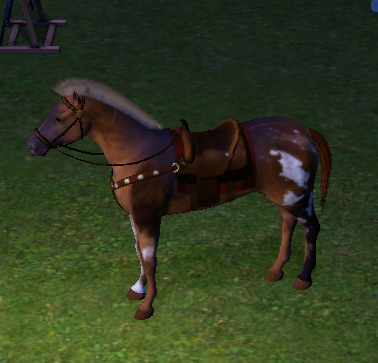 As soon as she decided he was a friend he mounted up and took off to the Center to sell her. Ha! I fooled her! He couldn't help thinking as he headed back home. I love Piper! 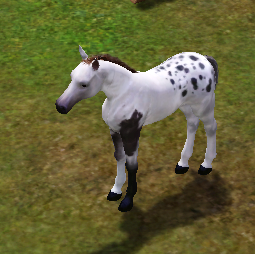 That foal is so cute. This is so cute! 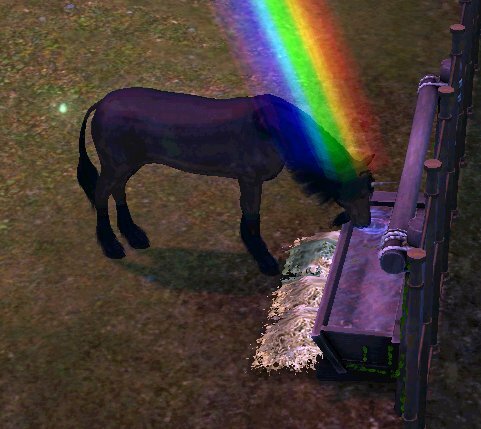 Love the foals. Very adorable. 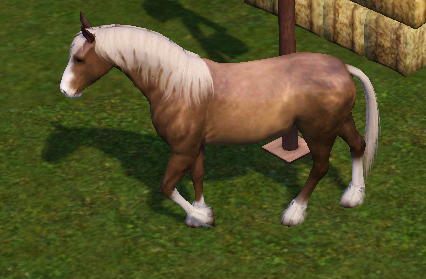 I loved Salsa Dancer in your last challenge! 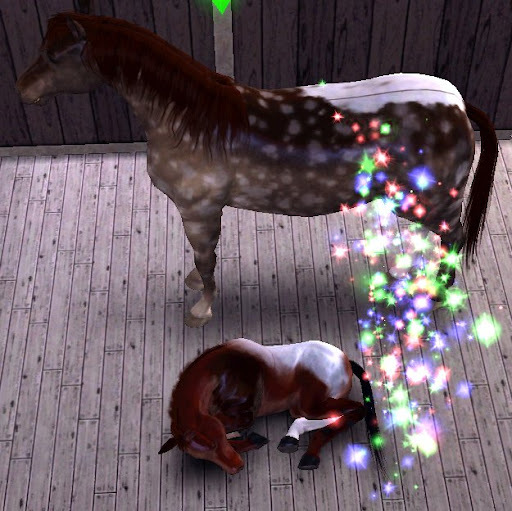 He was my favorite foal of yours. 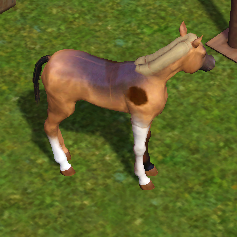 I'll be glad to see his foals. The first two are very cute! Before long Piper aged up. He aged up with 3 jumping and 4 racing. 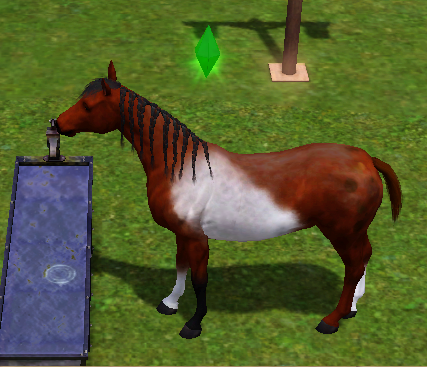 He's a handsome stallion. 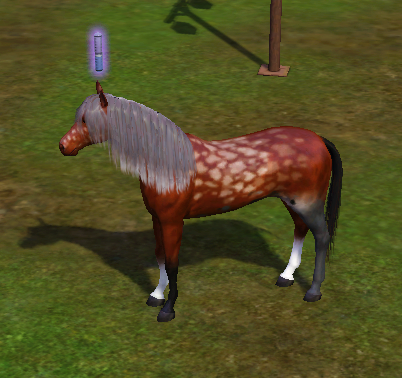 I love the face dapples! 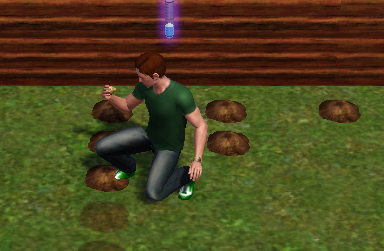 Although the lot was small Jason had done his best to make a nice place for the horses. 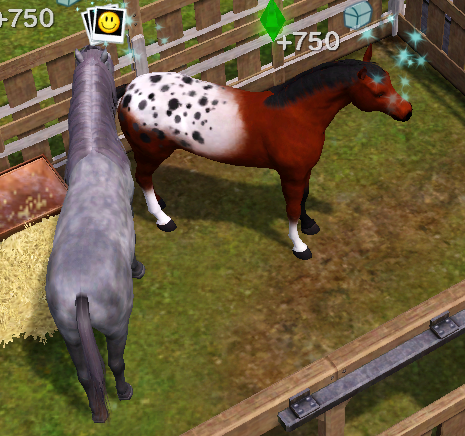 He had gotten a new mare now, named Athena who Salsa Dancer is getting to know down near the bottom there. Before too long Salsa Dancer and Athena were very friendly. 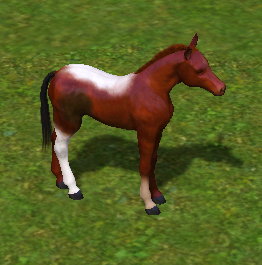 A new foal was on the way! While Jason was working on his garden he noticed a visitor. 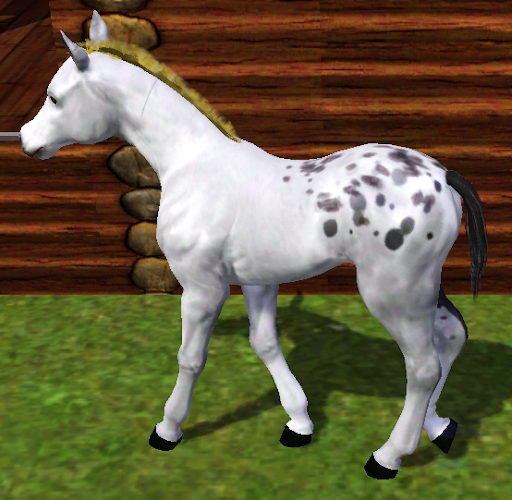 With a new foal on the way it was time for Manzanita to be sold. 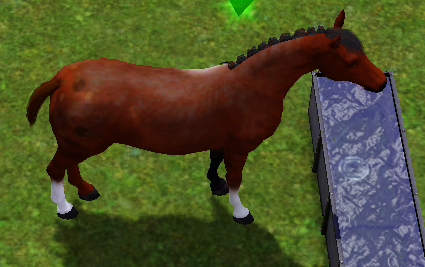 Jason needed the money but it was a little sad to see her go since she was the first foal he had ever cared for. With Manzanita gone Jason checked in at the shelter to see if they had any mares and couldn't help adopting an adorable little filly, named Raven. 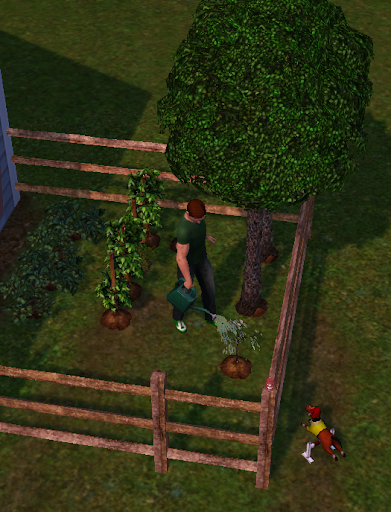 The next day he worked on training Piper and at the same time he sold some of his vegetables. When he got home he gave a bottle to Raven. 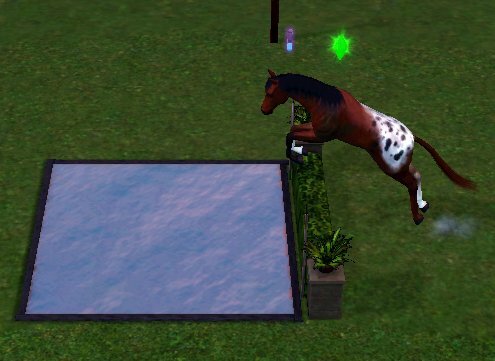 While Piper practiced his jumping. That night Shan aged up. He aged up with 4 jumping. 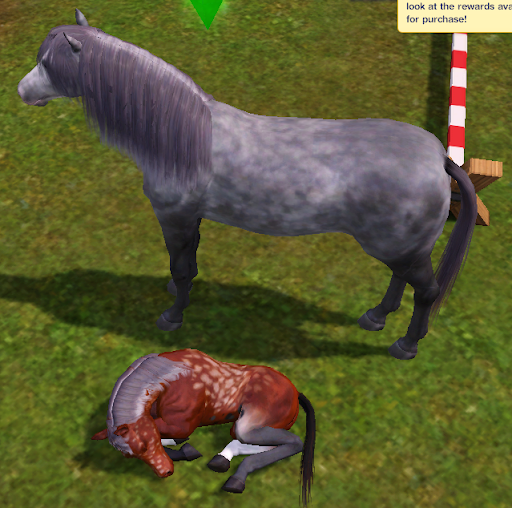 The next morning Athena gave birth to an adorable little colt who Jason named Zeus. 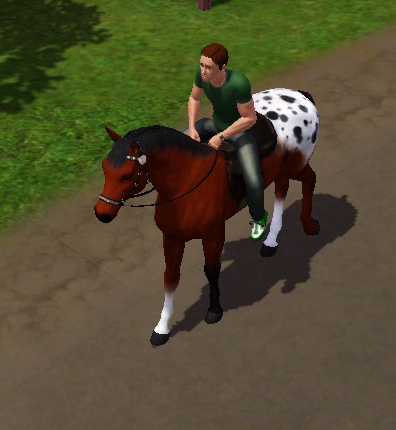 Jason thought it was so cute that his spots were on one leg only rather than across his hindquarters like his father. That night there was a stray cat who came to visit and passed away on the front lawn. 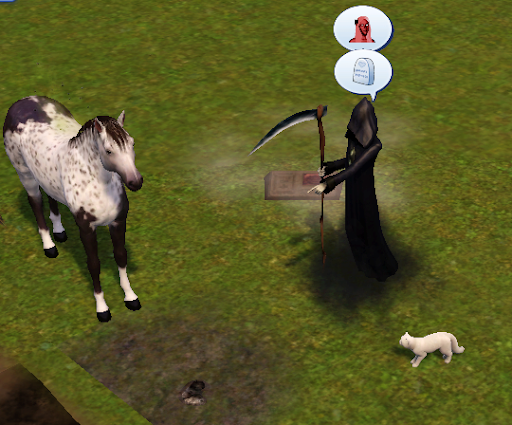 Apparently the Grim Reaper doesn't like a mess because after taking the stray he stayed around to recycle several of the newspapers that Jason had been meaning to clean up. 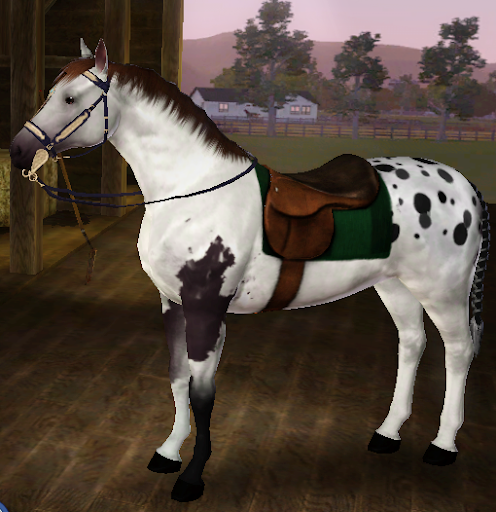 Shan was fully trained and a good looking stallion so it was time for him to be sold. 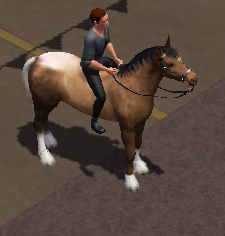 (Somehow I missed pictures of him as an adult so I got them out of CAS.) He had 4 jumping and 4 racing and sold for $5,600. 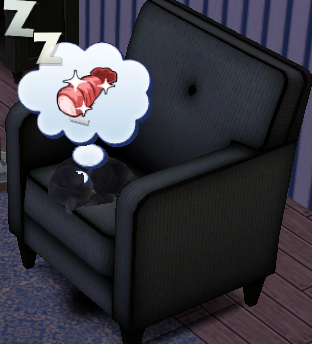 When he got home Jason found a stray cat had let himself in and was sleeping in a chair. It's nice to know people are reading. Thanks for the comments! I am enjoying the new challenge even though it was sad to lose the old one. More updates to come! While grooming Piper Jason realized that he did have some spots from his father, but they were hidden on his belly! Now that Piper was trained it was time for him to be sold. He had 5 jumping and 5 racing and sold for $6,313. 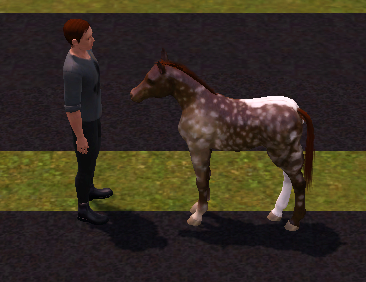 Zeus aged up to a handsome stallion with a white blanket from his dad although the spots were down on his leg. He aged up with 5 jumping and 5 racing. That same day Raven gave birth to the first daughter from Salsa Dancer, a little filly Jason named Lady. 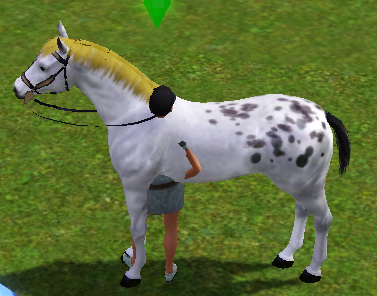 She didn't inherit dark black spots like her daddy but she did have some spots on her hindquarters. 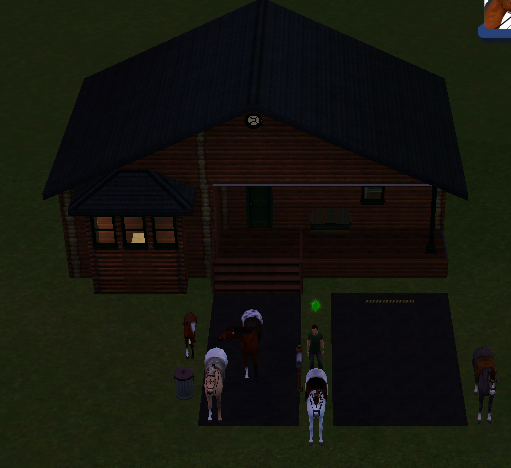 With all the money he had been earning from selling the foals and their mothers Jason was able to say good bye to the cramped little lot and his tiny house and move himself and all the horses to a huge lot. The little cabin was much nicer than the last house and the lot was huge. To his delight the horses loved all the extra room! His only regret was the loss of his garden. But he had saved some fruit harvested from the garden and used it to gather seeds and plant a new garden. With a little extra money he bought an easel and took up painting. 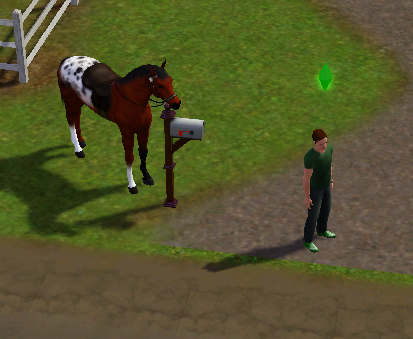 He had met a pretty young woman named Benni at a meet and greet at the place across from the Equestrian Center. 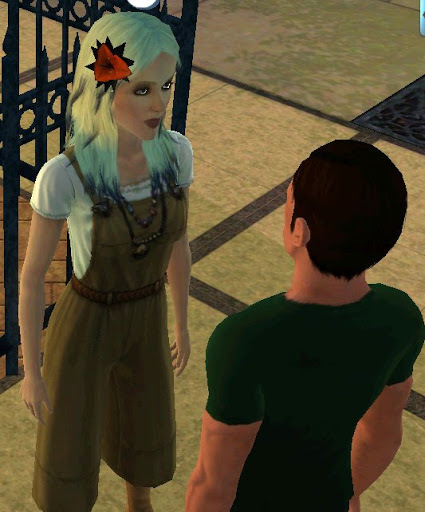 He had met up with her a few times since then around town and now invited her over to his new house. He invited her to stay the night and she accepted. Excited that she was going to stay he went to whip up a delicious dinner. 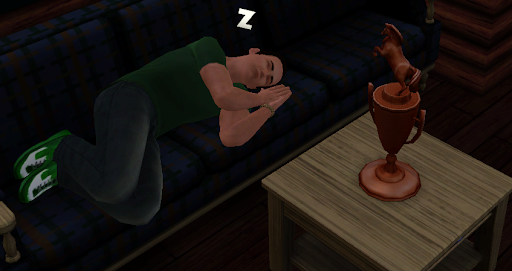 While he was cooking Benni went into his bed and went to sleep. Jason was surprised and a little disappointed that she couldn't eat his dinner so he put the leftovers away. Being a gentleman he didn't feel quite right getting into bed with her while she was sleeping, even if it was his bed, so he slept on the couch. She left the next morning before he woke up. 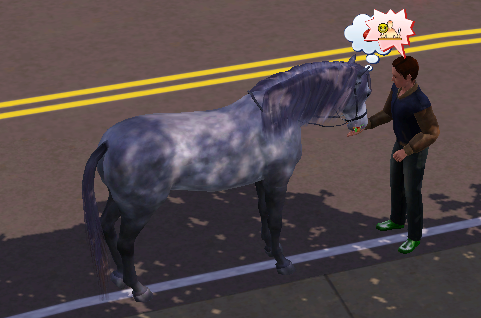 He met his neighbor across the street when Salsa Dancer was eyeing the man's mare. Jason went over to greet him. 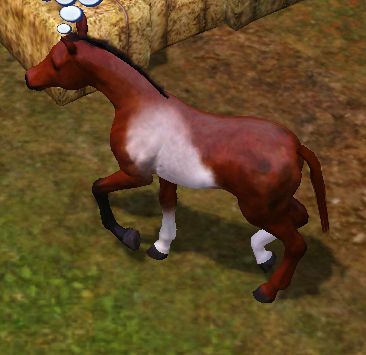 He was eyeing the mare too. She would make a great mother for Salsa Dancer's next foal, Jason thought. The man wasn't willing to sell his mare but she had two fillies that he was willing to sell. 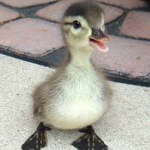 Jason had a tough time choosing but he finally brought home one of the little girls who he named Grace. 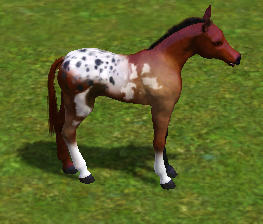 Lady aged up into a lovely mare with her unique spots even more noticable. 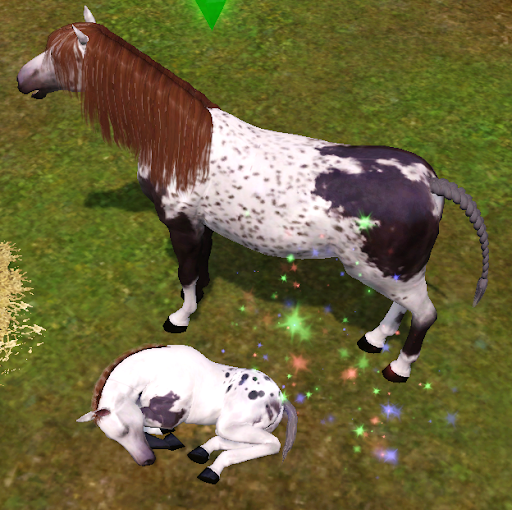 Aw, such pretty foals . I love the nose speckles on Piper! 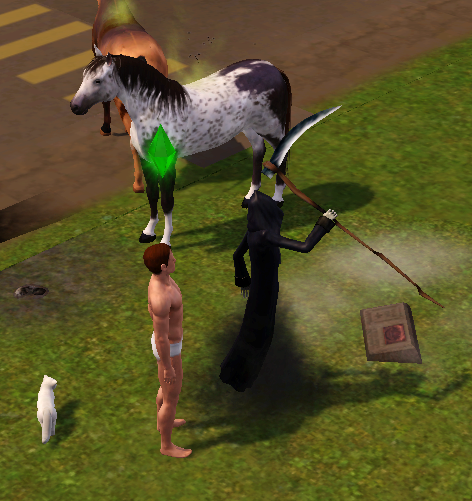 And the grim reaper cleaning up the newspapers, that was great . Sorry for the long delay! Here's another update. 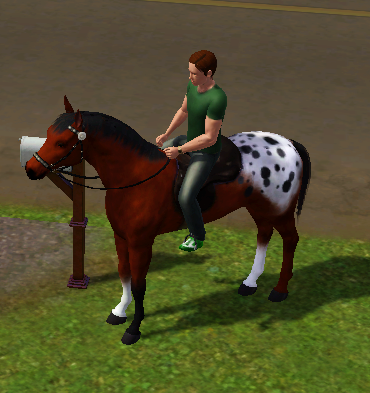 Jason started to train Lady but she wasn't in the mood to be ridden. He scolded her and she was properly embarrassed. 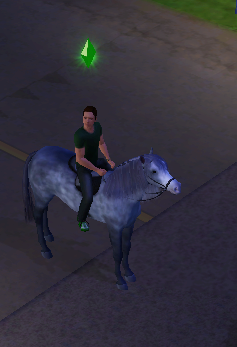 Jason had gotten a new mare named Misty. 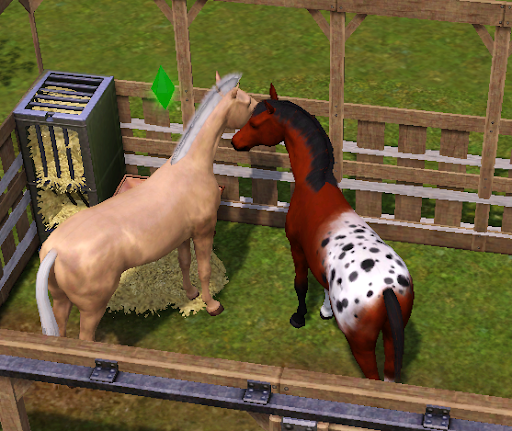 She got along well with Salsa Dancer and soon a new foal was born. Meanwhile Salsa Dancer was getting to know Heart Breaker very well. With another foal on the way Jason brought Misty to the Center to be sold. 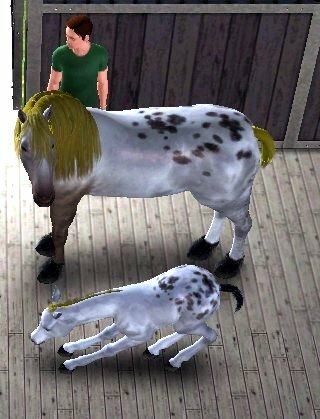 While Jason was taking Misty to be sold Heart Breaker gave birth to a little colt. When Jason got back he named the little colt Neptune. That night April Fool aged up. 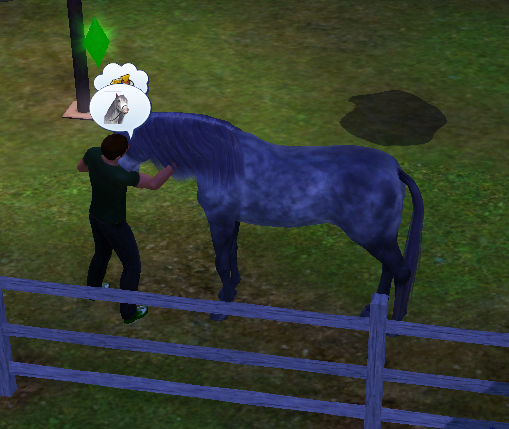 Although Jason has been working on training his horses he had also been getting to know Benni better. He asked her out on a date and by the end of it he got up the courage to give her a kiss. He was happy that she was interested in him too and he asked her to be his girlfriend which she happily accepted. When he got home Jason gave Neptune a bottle. Heart Breaker was so proud of her little son. 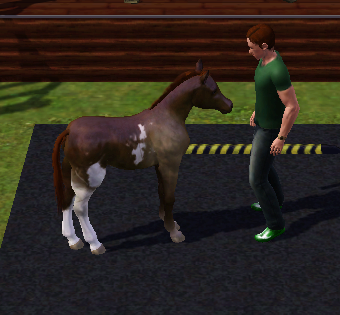 The little foal that Jason had adopted from the neighbor across the street, Grace, had grown up into a mare. 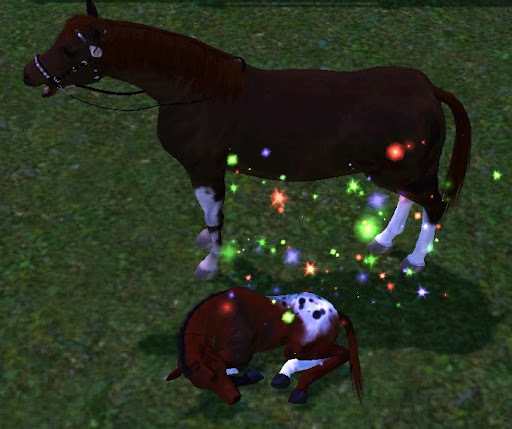 She and Salsa Dancer had gotten along very well and one evening she gave birth to a little filly, Salsa Dancer's second daughter. Jason named her Seraph. That evening while Jason and Grace had a little birthday party Neptune aged up. He had been thinking a lot about writing. He knew his cousin Katherine had made decent money as a writer. Then he suddenly realized he couldn't take April Fool to the Center to sell him while wearing only underwear. 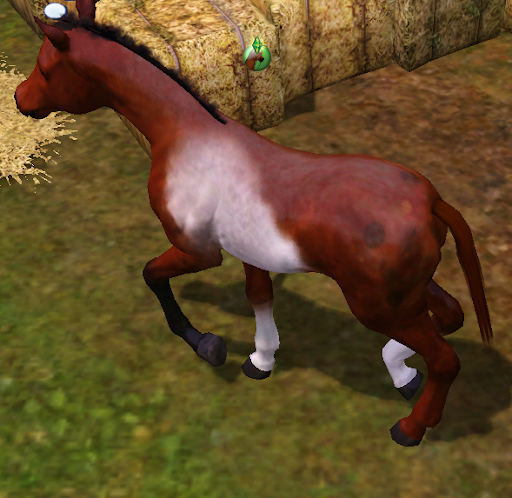 He changed and brought April Fool to be sold since he was trained now. April Fool had a 5 in racing, a 4 in jumping and he was sold for $6,246. That night Jason aged up to an adult. 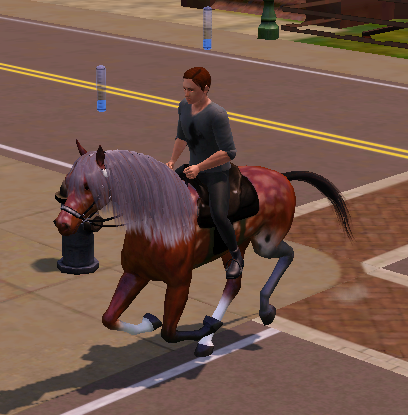 Jason had been very busy with working on training his horses and he hadn't have a chance to see Benni since she had become his girlfriend, although he had talked to her on the phone. He felt bad so he called her and invited her out to dinner. When she arrived at the restaurant he had a shock. Benni had become a vampire! Jason was upset that she had not told him over the phone and asked her what had happened and how she had become a vampire. 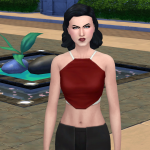 Benni really had no explanation as to how she had become a vampire. She mumbled something he couldn't understand and then changed the subject. They continued on to dinner but things were not the same as they had once been. 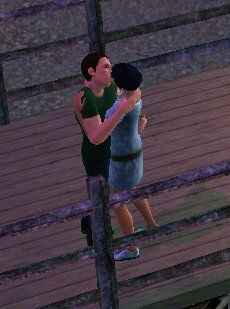 There was a new tension between them and Benni rejected any physical contact, even when Jason tried to give her a good night kiss. He went home unhappy and somewhat baffled as to how all this could have happened. He arrived in time to see Seraph age up. The next day Jason felt bad about how things had ended between him and Benni the night before so he invited her over. 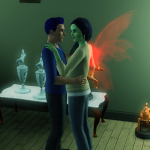 Although he could not actually forget that she was a vampire now he wasn't thinking and made dinner for them both. She reminded him that she couldn't eat human food anymore so they chatted for a while. She still refused any contact when he tried to hug her. While Jason ate dinner she went to bed. ... and then disappeared into a pile of ash. Starving vampires don't last long. Neptune was the first to come over and see what happened as she burst into ash. 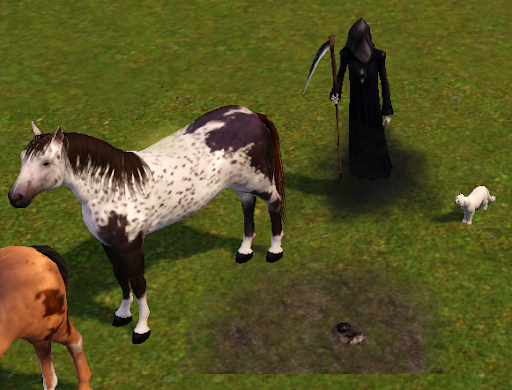 The newest mare, Spots, and a stray cat had arrived to mourn by the time the Grim Reaper arrived. 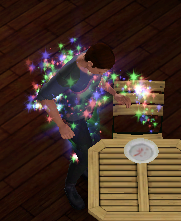 The Grim Reaper started to do his thing calling forth Benni's spirit. 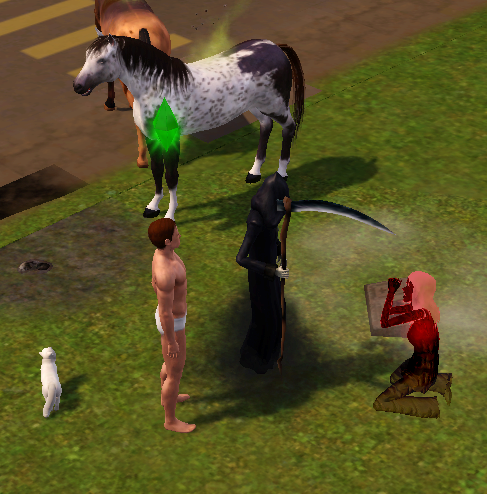 Her spirit appeared behind the Grim Reaper while Jason heard the commotion of horses neighing and came running out to see what had happened. 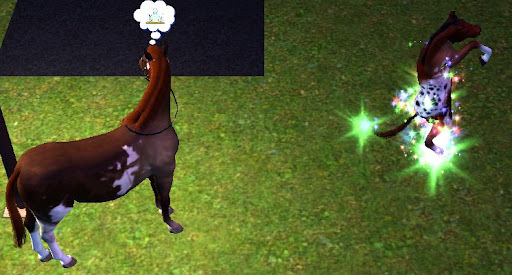 He was shocked when he saw Benni's ghost in front of the Grim Reaper. ... but the Grim Reaper had no mercy. 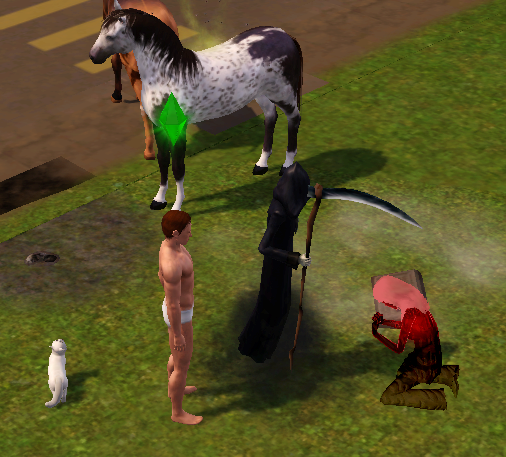 After the Grim Reaper had disappeared Jason was left desolate and mourning. He felt heart broken. For the next couple days Jason was in a fog and every so often he would suddenly start crying and yelling "why? why?" Then one night he startled up out of bed because he felt like he was being watched. He looked to the window and was shocked to see a man looking in at him! 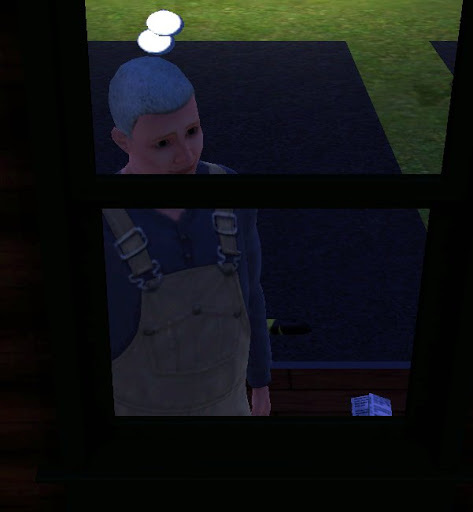 Jason ran outside to shoo the peeping tom but the creepy guy had run off. 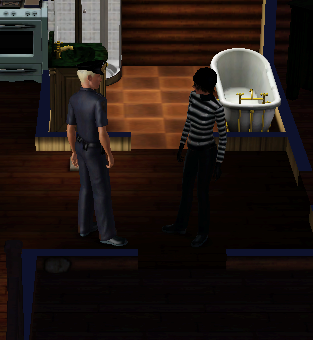 As if Jason did not have enough going wrong a couple nights later he had a burglar show up and try to make off with his toilet. This time Jason was smart and called the police who arrived very quickly. Luckily the cop subdued the burglar and took her away. Jason went back to bed feeling not only sad about Benni's loss but also a lot less secure. That was a great photo series of Benni's demise . I especially loved her "dying" pic...okay, perhaps that sounds a little disturbing . Aw poor Benni. No plasma fruit in her pocket, I take it? No, no plasma fruit I guess. I didn't think about her needing it either. When I play vampires they always go to the refrigerator for plasma juice. Guess Jason didn't have any since he's not a vampire. 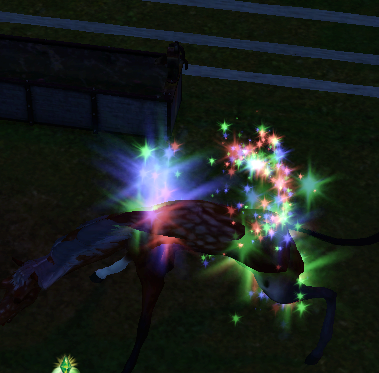 It surprised me because I heard ominous music and then I quick paused and went to find the cause. I saw her there with her hand to her throat so I snapped the pic. When I unpaused she became ash. I was like "oh no!" 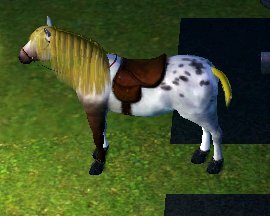 I'm about to add the pics from the next part where Zelda has her foal. 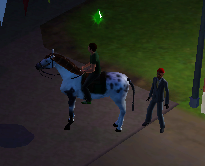 Jason decided he needed to get on with his life and working with his horses. He also decided to start working through his feelings by writing a book he titled "Lost Love." 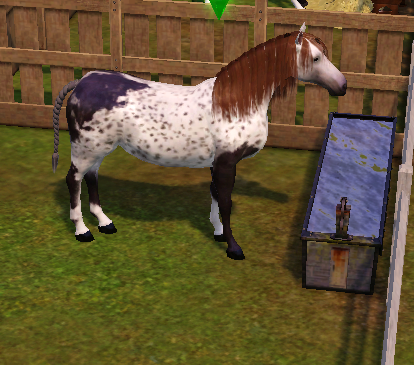 His across the street neighbor, who had bred Grace, had two new foals. Jason was eyeing the filly (the spottier one) as a potential mare for Salsa Dancer. He had no space but Neptune had been progressing well so he brought him to the Center to be sold. He had aged up with a 6 in racing and advanced to a 7 now. 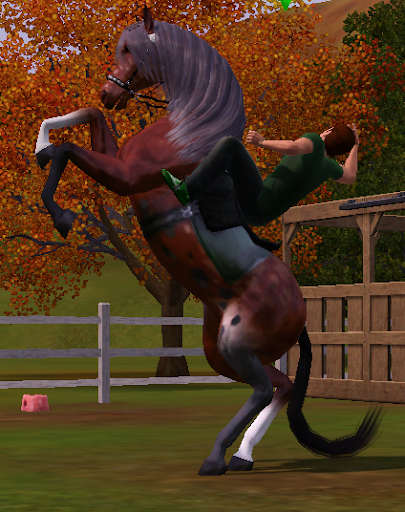 He also had a 4 in jumping. He sold for $7,479. 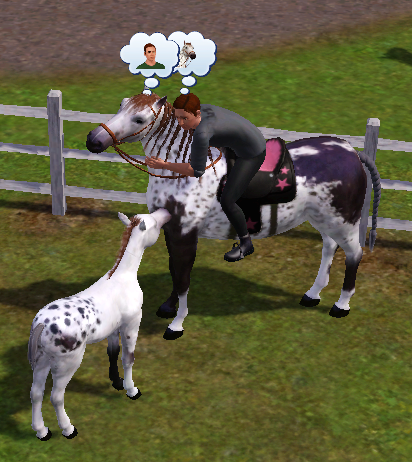 He got home in time to hear whinnying from the new stable and he ran to see that Zelda was having her foal. She was a filly, the third daughter for Salsa Dancer with the agile and fast traits. When she got up she didn't just stand up, she practically leaped up! 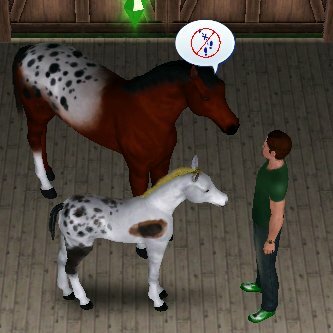 Jason and Salsa Dancer went to greet the new filly at the same time and Salsa Dancer told Jason he was blocking the way to his daughter. 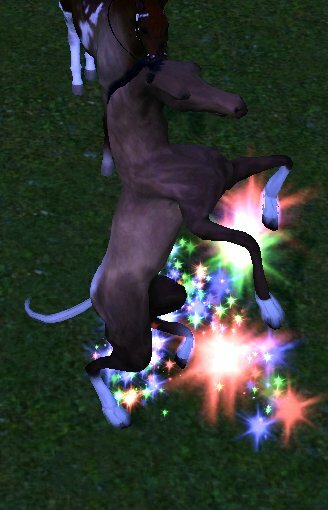 Zenith is a lot like a clone of her mommy, although some of her spots seem more like Salsa Dancer's spots and she is missing the brown leg that Zelda has. 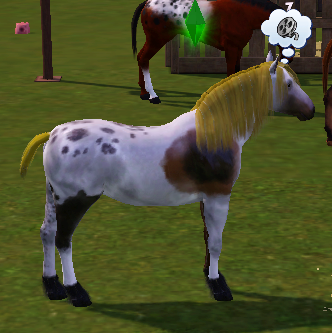 Plus she has mommy's blond mane, but daddy's black tail! 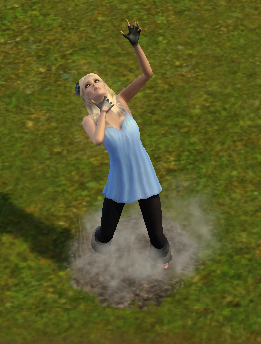 Meanwhile Seraph was practicing her jumping and she is getting good enough to tackle the water hazard. The next morning Jason went over to his neighbor, Mike Smith, and brought home the little filly. 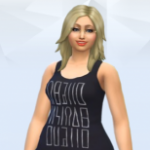 Mike had named her Seraph, but since Jason already had a Seraph he renamed her Cherub. Zenith quickly came over to meet the new foal and see if she would like to play. 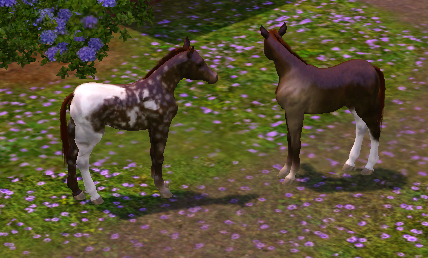 Zenith has a mix of her father's spots and her mother's spots. The black round ones are from Salsa Dancer and the brown less defined ones are from Zelda. When Zenith aged up Jason was very pleased with her. She also aged up with a 9 in racing and a 6 in jumping. So one evening he struck up a conversation with her. He found out her name was Kelley and he thought she was definitely cute in her maid's uniform. Unfortunately shortly after she said that she was finished and headed out for the day. He wanted to call her back and talk to her some more but she was already leaving. He had noticed before that she had taken pictures of him when she thought he wasn't looking. At the time he was with Benni and thought it might just be because he had acquired a little fame. Now he wondered if maybe she had a crush on him. She had seemed almost embarrassed when he stopped her to chat. He resolved to talk to her again the next day. The next day he not only chatted with her but also asked her to hang out when her work was done. She agreed and he whipped up some spaghetti with fresh veggies from his garden. He took some time getting to know her better and learned she was family-oriented. 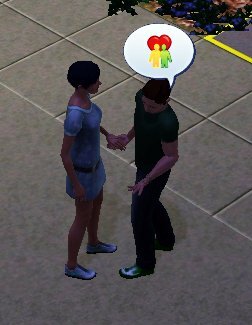 Then he flirted with her a lot. He learned that she was flirty and from the way she blushed and flirted back he was sure she must be interested so he confessed his attraction to her. She was happy to hear it and gave him an amorous hug. Feeling happier than he had in a while he said good night to her, knowing he would see her again tomorrow. The next morning he headed to the Center to sell Zelda since Zenith was an adult now. Unfortunately by the time he got home Kelley had already finished and left. He was disappointed so he called her up and asked her out on a date. From her squeal of excitement he figured she was happy about it. When they met he had worked up the nerve to kiss her for the first time. Then he shyly asked her if she wanted to be his girlfriend. She was excited and said she would love to be his girlfriend. He invited her back to his place and asked her to stay the night. He made them dinner and they flirted and made out but he decided to be a gentleman and when they went to bed they only slept. The next morning she was up before he was and he was afraid she had already left like Benni always did. He looked out the window and saw her giving Seraph a treat. That's when he knew that she was a keeper. Awww. That last bit was sweet. 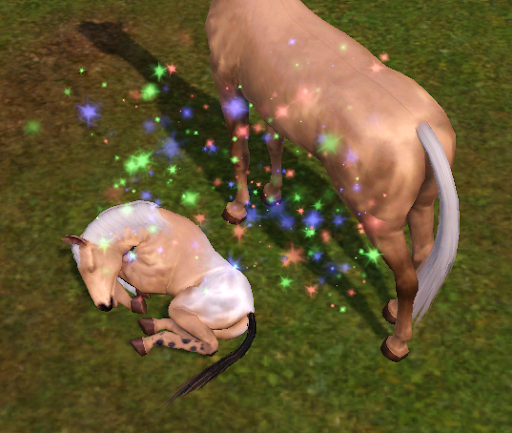 You've had some really gorgeous foals. Would it be okay if I used some of them in my challenge (depending on how the game treats me)? The next few days Jason enjoyed spending time with Kelley every chance he got. He discovered that she gave amazing massages one day when he had been working for a long time in his garden. Jason was in love and he made sure that Kelley knew it. She said that she loved him too. Jason saw now all that was lacking in his relationship with Benni. 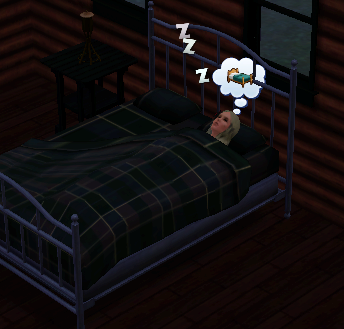 She would leave without saying good-bye, she ignored the horses and if he invited her to stay the night she would go to bed rather than stay up and talk to him. Kelley took an interest in the horses and she always put time with him over other things. In fact she wasn't his maid anymore. He didn't feel right having his girlfriend as a maid and after she had slept over the cleaning agency had sent someone new anyhow. Jason had experienced loss before and Kelley meant more to him than anyone else so he didn't want to waste time. He had a plan. 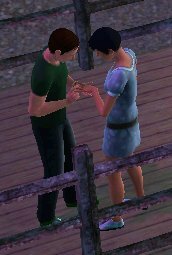 He invited her out for a date and then took her down by the pier to watch the sun set. 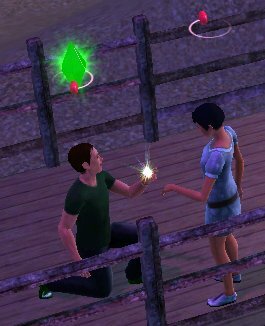 Then he went down on one knee and asked her the question that had been on his mind more than anything else lately. "Kelley will you become my wife and make my life complete?" Kelley was so excited she could hardly hold still for him to put the ring on and then she threw her arms around him. When she asked how soon they could get married he knew that she was thinking the same thing he was. He offered that they could have a private wedding right then and there and she quickly agreed. They exchanged vows right away. And then they sealed it with a kiss. They wasted no time getting home to woo hoo for the first time. The next morning Kelley woke up wishing to train some of the horses or feed them treats and she headed out to see Zenith. But something went a little wrong. I don't think that's how it's done Kelley. That's better. 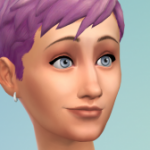 Zenith sniffed her. 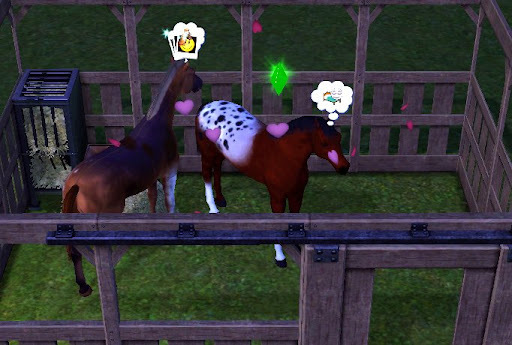 Then there was some whinnying from the stable as Cherub had her foal. Jason, Kelley and the new maid all ran in to cheer as the little filly stood up. Jason asked Kelley if she would like to name the little girl. Kelley decided on Angel. 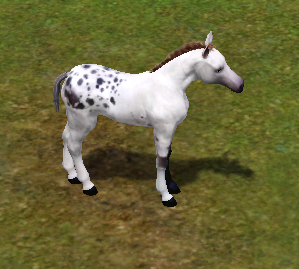 Jason was a little disappointed and he asked Kelley how two parents with so many spots between them could have a foal with not a single spot on her! Kelley just smiled and said genetics were a fascinating thing, but she was a cutie anyhow. That day Jason got an invitation to a party from his neighbor down the street. Jason was thrilled to go let every one of his acquaintances know that he had gotten married. Kelley wasn't sure because she had been feeling a little queasy all day but his enthusiasm was so contagious that she couldn't say no. 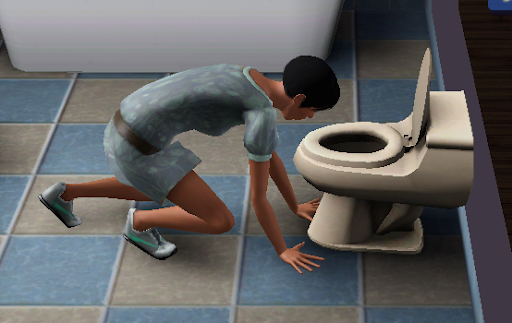 But not long after getting there she had to run for the bathroom to throw up. She felt a little better after that and she and Jason both had some of the food that had been set out for the guests. But unfortunately she had to run to the bathroom and revisit the meal. 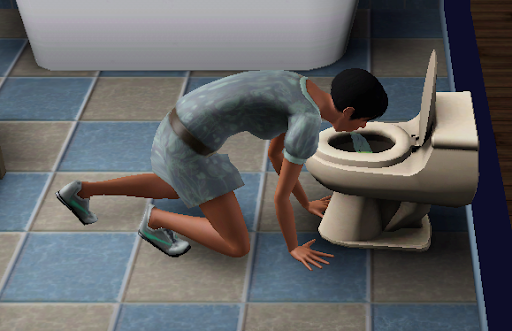 She couldn't help wondering what it was that was making her sick. 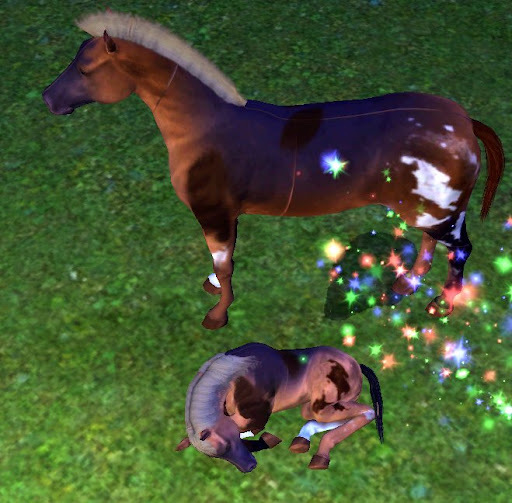 You are welcome to use any of the foals in your challenge! I have links for all the ones uploaded at the beginning. Thanks for reading. I'm going over to check out your challenge as soon as I finish my updates.